Would you like to sit outside more often, but you miss the pleasant warmth from inside? Then choose one of the beautiful wood burning stoves from Firepit-online.com. 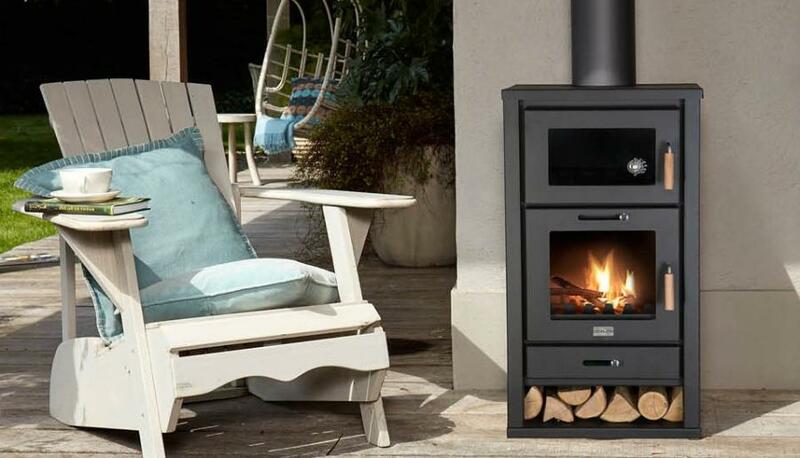 A wood burning stove offers a pleasant warmth in your garden, available with a rustic or modern look. A wood burning stove is the best way to enjoy the outdoors! Extend your outdoor season, so you can also enjoy the relaxing evenings in the garden in the spring and autumn. Calculate the ideal power for your wood burning stove here. Do you like to sit in the garden, but you also want to enjoy the warmth? Then a garden fireplace is very suitable! You can place these in your backyard or front yard for a delicious fire during the summer evenings. Firepit-online.com offers a wide range of garden fireplaces, so that everyone can find a suitable model. Would you rather prefer an authentic indoor stove? So you can always enjoy a delicious warmth in the evening? Then you're in the right place. At www.firepit-online.com you can choose from a wide range of fireplaces. Place a stove in your living room and enjoy the warmth in winter. Guaranteed for hours to enjoy! If you buy a garden fireplace, do not forget to consider the capacity. If you buy a fireplace with a high capacity, you can warm up your living room quickly. That brings a cozy atmosphere and, at the same time, you save energy costs. If you have chosen the perfect terrace fireplace, it is easily ordered through our website. If ordered beforfe 17.00hrs, your order will be shipped still the same day for a quick delivery at your place!